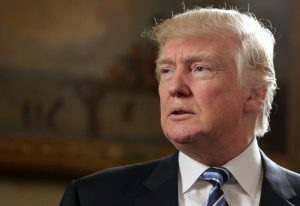 LONDON — President Donald Trump is defending his sweeping order on immigration and says he will find other ways to help those suffering from Syria’s bloody civil war. Trump’s order halting the Syrian refugee program and temporarily suspending immigration from seven majority Muslim countries has sparked protests across the country. Trump insists it’s “not a Muslim ban” and blames the media for that suggestion. Trump says the U.S. will resume issuing visas to all countries impacted after a review of security policies.